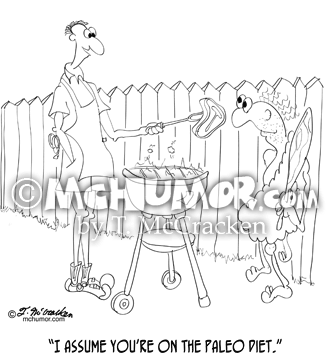 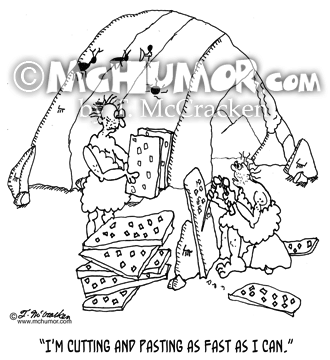 Editing Cartoon 9140: A caveman surrounded by stone tablets and chiseling on one and says to another, "I'm cutting and pasting as fast as I can." 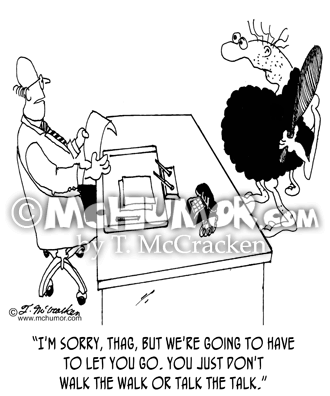 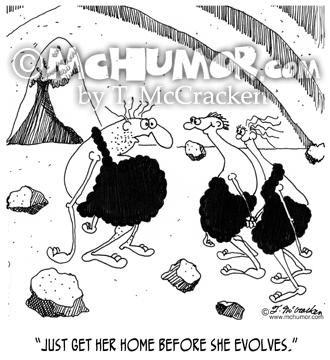 Evolution Cartoon 6522: A caveman saying to his daughter's date, "Just get her home before she evolves." 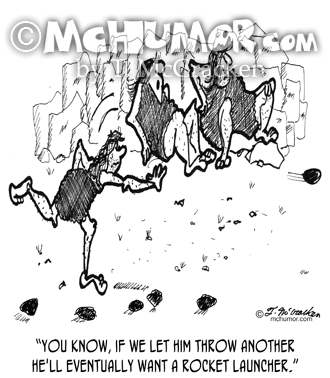 Library Cartoon 7708: "The First Banned Book." 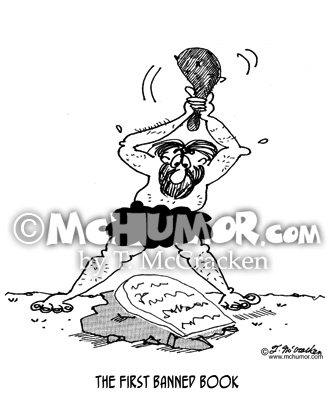 A caveman with a club is about to smash a stone tablet with writing on it. 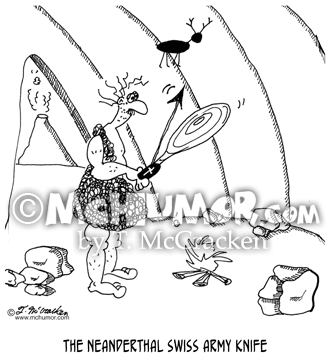 Caveman Cartoon 5859: "The Neanderthal Swiss Army Knife." 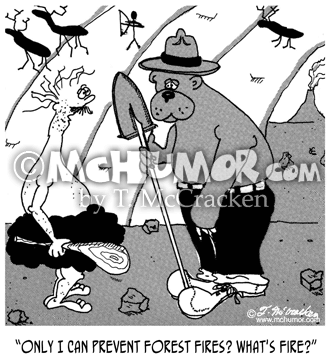 A caveman flicks open a knife that has a club and a spear in it. 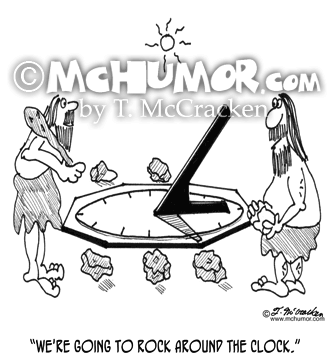 Sundial Cartoon 4319: A caveman placing rocks around a sundial says, "We're going to rock around the clock."